PNB Technical Officer Admit Card 2019: Punjab National Bank is conducting Online examination on 17.03.2019 for Technical Officier, Manager, and Senior Manager vacancies and for this, PNB Admit Card scheduled to release on the 1st week of March 2019. Those who are applied and preparing for the PNB Technical and Manager vacancy posts. 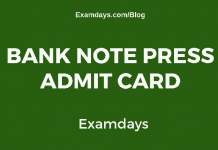 Those candidates can down the PNB admit cards for above-said examinations. The examination will be conducted on Online based only (CBT- Computer Based Test) examination. This time, PNB will recruit 325 vacancy posts from eligible candidates through all over India. The selection procedure will be based on Written and Interview. The examination will be done under monitor of PNB recruitment team officials. 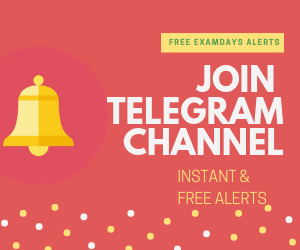 Navigate to What’s New Sections (Located at Left side), and see the latest notes from PNB, there click on the PNB Technical Officier, Manager, and Senior Manager Admit Card for 17th March 2019 Examination. Once the new window opens, enter the login credentials and download the PNB Admit Card 2019. Attach any government proof Xerox and attend the examination.